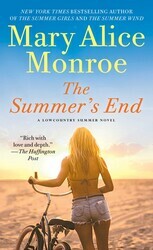 The third installment in New York Times bestselling author Mary Alice Monroe’s Lowcountry Summer series, The Summer’s End, explores a central theme very close to Monroe’s own heart: the dynamic of the mother-daughter relationship. Keep reading to find out how the characters Monroe has created have influenced her own life, and be sure to pick up a copy of the book in mass market, available 4/19 from Pocket Books! 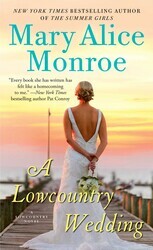 Plus, stay tuned for the release of the fourth book in the series, A Lowcountry Wedding, out May 3rd! 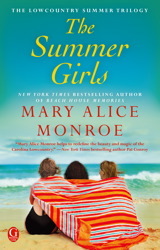 In The Summer’s End, I take you back to the charming seaside town of Sullivan’s Island, South Carolina, where it’s an emotional season for Mamaw and her “summer girls” – granddaughters Eudora, Carson, and Harper. They each face loss and struggle to find a fresh start in life. Harper, the youngest sister, who lived under the narcissistic abuse of her wealthy and influential mother, has no home or career after breaking free of her mother’s tyranny. And she finds herself needing courage to release her insecurities, recognize her strengths and accept love fully to save her family and her future. Many of us are blessed to know the beauty of a mother’s love, but a lot of people can relate to my character Harper, whose mother is unsupportive and cruel. Harper’s halfsisters, Eudora and Carson, also have poor relationships with their mothers. But the girls find motherly love from another source, their Mamaw, who herself is facing her own shortcomings as a mother. 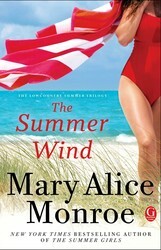 For Marietta Muir, having her granddaughters together for one final summer at her beach house is her second chance. Mamaw can see that she was an enabler for her alcoholic son, the girls’ father. Now at the age of eighty, she wants to pass on her hard won wisdom to her granddaughters. I am a grandmother to four beautiful children, and I can relate to Mamaw’s desire. In this role, we get to have a little more fun than we did when we were young mothers, fully engrossed in raising our own children. Being a grandparent is a second chance. Not just to play or buy gifts, but to pay attention. What do they really need? How can we positively assist? Mature love is giving without expecting something in return. To give for the pleasure of giving. To love for the joy of loving. This is Mamaw’s lesson in The Summer’s End. And some of her wisdom is what I want my own children to know. That’s how I feel about my daughters: Claire, Margaretta and Caitlin. And I dedicate this novel to them. Click here to read an excerpt from The Summer’s End, in stores nationwide now. Follow her on Facebook , Twitter and YouTube . Nothing could be more enchanting than a summer wedding—or two!—in Charleston’s fabled lowcountry. Yet when a stranger arrives, a long held family secret could silence the bells ringing for the Muir sisters. Scandals surface, family bonds are questioned, and promises are broken and renewed. Mary Alice Monroe has become one of my favorites. I love getting lost in her stories and her characters!! This series is one my all time favorites!! I adore the relationships between the women in this series!